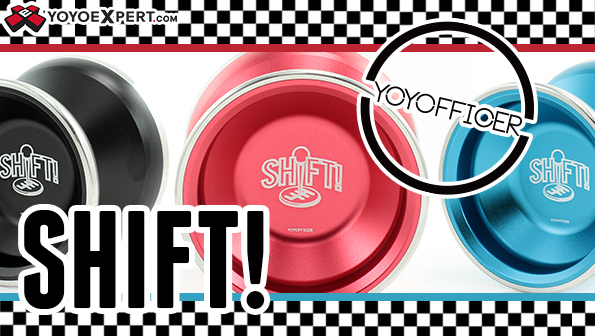 YoYofficer - Shift into high performance! YOYOFFICER is well over half way through the alphabet and still creating some truly amazing yo-yos. The newest addition to their extensive lineup is the all new bi-metal SHIFT! With one successful bi-metal design under their belt, The Rave, YOYOFFICER decided to make something on the opposite end of the spectrum this time around. Where the Rave is organic, floaty, and relaxed feeling, the all new Shift is fast, solid, and more competition oriented in play. The Shift was created to provide superior bi-metal performance at an affordable price. If you're looking for something geared towards faster, more technical play then look no further, this yo-yo definitely delivers!